JOY to every Haitian means one, or maybe two meals a day. JOY to the children is not stockings filled with toys, but the opportunity to go to school. JOY to the farmer means having seeds, tools ,and trees to plant so he can feed his family. JOY to the family means the gift of a goat which represents a living bank. Together we can make a difference. Help us bring education and nutrition to hungry children and impoverished families. Nourish. Feed. Educate. Support. Give. 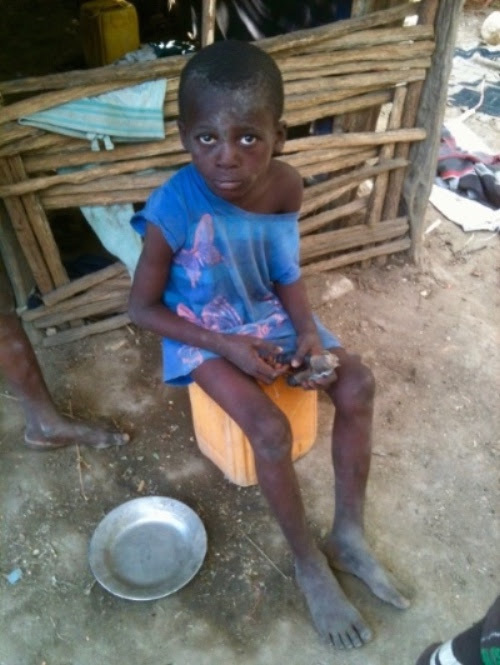 For young Leon Wilfred and his family life is a daily struggle to obtain basic necessities like food and water. As one of eight children llving in the impoverished town of Corporant, Haiti, his family wants to become a member of Partner In Agriculture’s Family Food Security Program so they have access to tools, seeds, and equipment to grow healthy food, market their produce and earn enough money to send all their children to school. YES! I would like to bring JOY into the hearts and lives of families in Haiti this Holiday Season. Please send your tax deductible contribution TODAY. 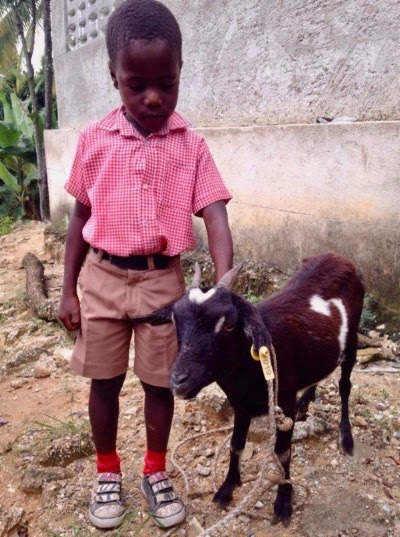 In the Family Food Security Program the gift of a goat, chickens, seeds or tools helps provide a stable source of food and income to send kids to school. Your JOYFUL GIFT will help Partners in Agriculture continue to reach out, train, equip, and educate young Haitians to lift up their communities and change their lives. Thanks to your generosity we’ve been able to assist more than 1,900 families in our Food Security Program and treat over 35,000 children for malnutrition. Share your blessings this holiday season and help us continue changing lives.